Although it’s not uncommon for us to tap out between Valentines Day and Presidents Day, we’re seeing a cold weather pattern overall. It ran Thursday and Friday last week and allowed us to boil this past weekend. Then surprisingly Brian spent the day battling high winds and collecting sap all day on Monday. This coming week looks cold into the start of next week. 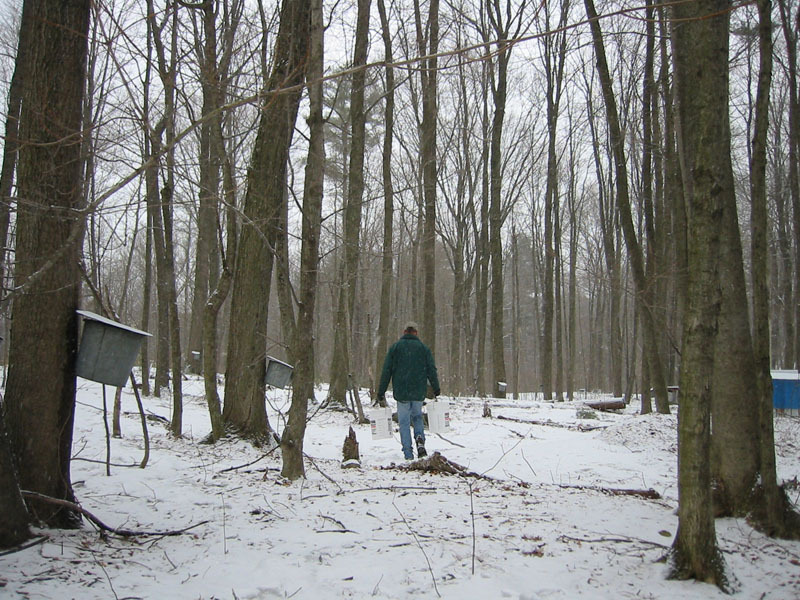 This will give us a chance to get fresh syrup packed and on the shelves. Monday March 4th we’re looking forward to joining a crowd for the Governor’s Tree Tapping Ceremony to be held at Intervale Pancake House in Henniker this year. It’s located right at the foot of Pat’s Peak. The event is open to the public so feel free to drop by if you get a chance. It’s a great family event. 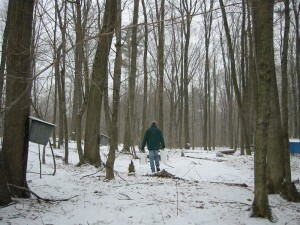 Now that we’ve had a few quiet weeks after the holidays, it’s time to start planning for the upcoming sugaring season. Last Saturday we attended the annual business meeting for the NH Maple Producers Association. It’s a great opportunity to catch up with our fellow producers to see what’s on everyones mind and what new equipment folks are using to make their operations more efficient with added quality control. We’re also looking forward to the Regional Meetings that will be hosted around the state so that folks in each region have another opportunity to meet up with other local sugar makers and talk about all things maple. 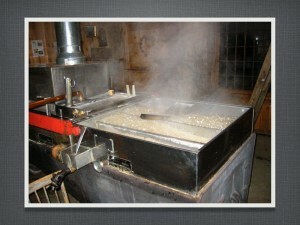 Once again this year we’ll be participating in NH Maple Month. 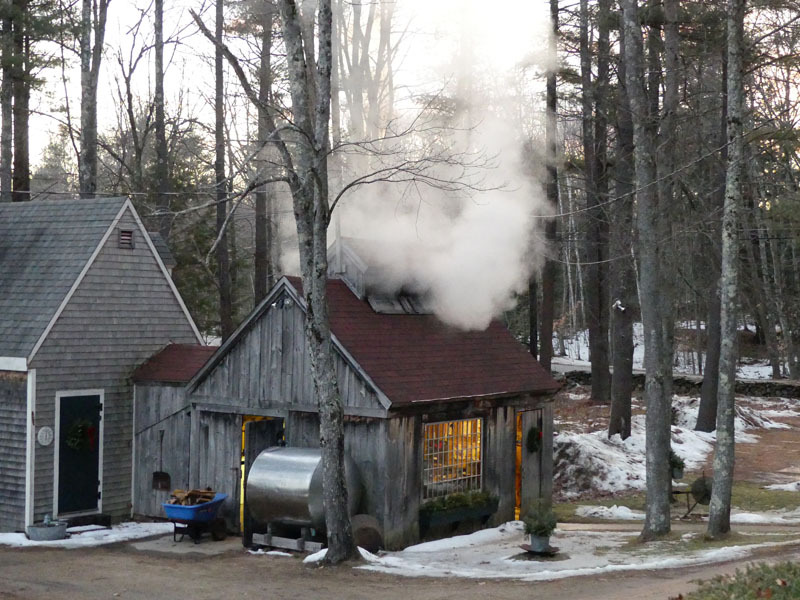 It’s a promotional effort sponsored by the NH Maple Producers Assn to help spread the interest in visiting sugar houses out through a few weeks rather than have everyone just dropping in on Maple Weekend. But don’t worry, we’ll be doing Maple Weekend on March 23rd and 24th just like always so watch for details in early March! It’s only 8 more days until our Holiday Open House. Brian has been making wreaths non-stop since his first cutting. Mom and I have finished making the wreath prototypes for the decorated ones. It’s always so much fun bringing them to life and enjoying the creative flow from each other as we try to make something fun and festive for folks to enjoy. Most of you probably don’t know we’ve been making wreaths as long as we’ve been sugaring. That’s over 27 years! 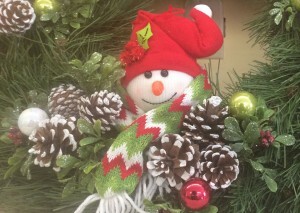 Brian will cut more greens this week for the rest of the wreaths and swags we need to make. Waiting to cut until after a hard frost in the north country helps our wreaths hold needles well into the winter. Most last into early spring if not in direct sun. So don’t miss out and come by December 1st 9am to 4pm and December 2nd 10am to 4pm.